Very Nice. EPA 21 MPG Hwy/15 MPG City! TRAILERING PACKAGE, HEAVY-DUTY, WHEELS, 4-17" X 7.5" (43.2 CM X 19.1 CM) ALUMINUM, 5-SPOKE, LPO, BED LINER, LICENSE PLATE BRACKET, FRONT, LPO, CHROME PACKAGE, Tow Hitch, Satellite Radio SEE MORE! includes Vortec 5.3L V8 SFI FlexFuel engine, (S83) 4 - 20" x 8.5" (50.8 cm x 21.6 cm) chrome-clad aluminum wheels, (DL8) outside heated power-adjustable, chrome-capped, manual-folding mirrors, (Z82) trailering package, (A60) locking tailgate, (PPA) EZ-lift tailgate, bodyside moldings with chrome accents, chrome door handles and Texas emblem badging. Requires either of (41U) Black, (46U) Blue Granite Metallic, (50U) Summit White, (58U) Black Granite Metallic, (GGW) Taupe Gray Metallic or (GGZ) Sheer Silver Metallic exterior colors, includes 6-way (AG1) power driver and (AG2) front passenger seat adjusters, (D07) floor console, front passenger manual recline, front passenger manual lumbar, adjustable outboard head restraints and storage pockets, includes trailering hitch platform and 2-inch receiver, 7-wire harness (harness includes wires for: park lamps, backup lamps, right turn, left turn, electric brake lead, battery and ground) with independent fused trailering circuits mated to a 7-way sealed connector, wiring harness for after-market trailer brake controller (located in the instrument panel harness) and (KNP) external transmission oil cooler (Also includes (G80) heavy-duty automatic locking rear differential on Retail orders only.) MP3 Player, Privacy Glass, Keyless Entry, Steering Wheel Controls, Electronic Stability Control, 4-Wheel ABS, Front Disc/Rear Drum Brakes. Pricing analysis performed on 8/15/2018. Horsepower calculations based on trim engine configuration. Fuel economy calculations based on original manufacturer data for trim engine configuration. Please confirm the accuracy of the included equipment by calling us prior to purchase. 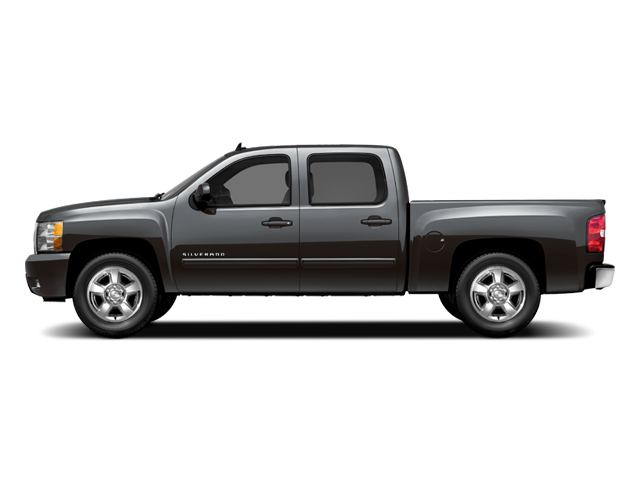 Hello, I would like more information about the 2010 Chevrolet Silverado 1500, stock# T16343. Hello, I would like to see more pictures of the 2010 Chevrolet Silverado 1500, stock# T16343.